Verrex has appointed Michael Shinn as director of global managed services. He will be responsible for service operations and solutions, and will aim to create additional value for global clients in the company’s managed service portfolio. He will focus on building on Verrex’s AV-as-a-Service offerings, including cloud-conferencing and remote monitoring, as well as expanding the integrator’s break/fix, global service desk, maintenance, and onsite support. Shinn reports directly to Verrex CEO, Thomas Berry. 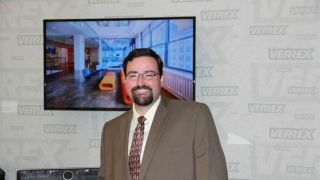 Shinn joins Verrex with more than 12 years of experience in the audiovisual industry. Career highlights include vice president of customer relations at IMS Technology Services; adjunct faculty/professor of computer science at La Salle University; service manager at IMS Audio Visual; and coordinator of multimedia services at La Salle. He holds a bachelor of arts in communications from La Salle University and has completed numerous AV industry training and certification courses. In addition, he has contributed expertise to a number of AV industry publications and organizations, including InfoComm International and NSCA (National Systems Contractor Association).